Nio Inc, a Chinese electric carmaker seeking to take on Tesla Inc, is ramping up its drive to meet consumers' demand for longer travel range and better customer services with its second sports utility vehicle. The move came after a few new Chinese automakers started delivering cars to consumers, triggering some negative feedback on user experience and in-car software. 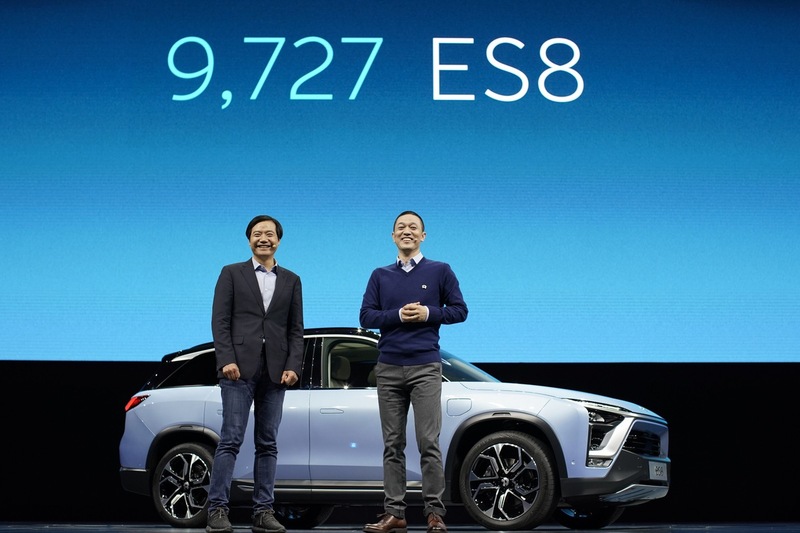 Li Bin, CEO and founder of Nio, said the new SUV ES6's most premium model can reach 100 kilometers per hour in 4.7 seconds, with the range hitting a high of 510 kilometers. In comparison, its first SUV ES8's range just stands at 355 km. "We are working hard to optimize the battery performance of the ES6," Li said. Starting from 358,000 yuan ($51,896), the five-seat ES6 was unveiled on Saturday exactly one year after the larger and more expensive ES8 was first launched. The company began delivering the ES8 in June and has sold more than 9,700 vehicles in China so far. Estimates by Sanford C. Bernstein& Co forecast that Nio needs to sell about 100,000 vehicles a year to break even. The four-year-old company raised $1 billion in a New York initial public offering in September, valuing it at $6.4 billion. To better stand out among the fierce competition, Nio has also been beefing up its service capability. It aims to open 70 Nio Houses, or offline gathering place for Nio users and brand stores, by the end of 2019, up from 26 so far. It has also extended its battery swapping program to ES6 owners, previously reducing the upfront price of the ES8 by 100,000 yuan. It also aims to build the battery swapping network to cover key high-speed roads. Nio's move came as China has been the world's largest new energy vehicle market since 2015. In the first 10 months of this year, 860,000 such vehicles were sold, and the China Association of Automobile Manufacturers expects sales to exceed a million in 2018. Another electric carmaker Xpeng Motors Technology Ltd also delivered its first commercial model to 24 users last week. Jia Xinguang, an independent auto analyst who has been following the car industry for more than 10 years, said Nio will be the first EV startup in China to cross the mark of delivering 10,000 cars this year. "But still, Chinese car startups are producing models in small volumes to perfect their production lines. And they also must learn from early users' complaints and negative feedbacks to optimize their products," Jia said.